We think making life better for people feels awesome. Let’s make the world better, while we’re at it. 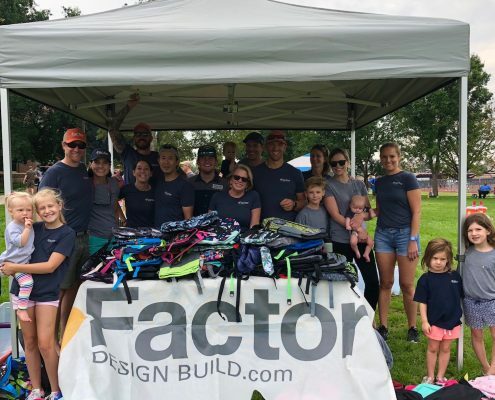 Factor Design Build charitable contribution recipients include Team Red White and Blue, Denver Kids, Judi’s House, and Trout Unlimited. Our team also participates in one or two events for each charity during the year. Read more about these worthy causes below. 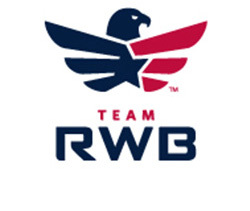 Team Red White and Blue’s (Team RWB) mission is to enrich the lives of America’s veterans by connecting them to their community. Enrichment is defined as creating quality relationships and experiences that contribute to life satisfaction and overall wellbeing. 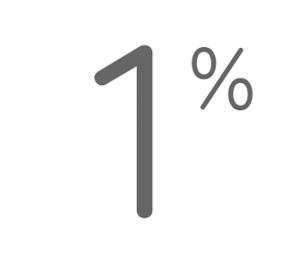 The concept of enrichment consists of three core components—health, people, and purpose—that define a rich life. 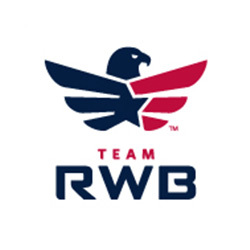 Team RWB accomplishes this through creating authentic and supportive connections, recreational activities, and engaging members in meaningful community based experiences. 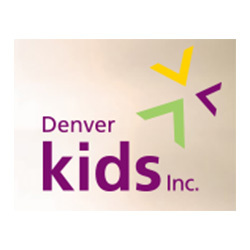 Denver Kids helps Denver Public Schools students, grades K-12, who face the personal challenges of higher risk environments to successfully complete high school, pursue post-secondary options, and become contributing members of the community. Since 1946, Denver Kids, Inc. has worked in partnership with the Rotary Club of Denver and Denver Public Schools (DPS) to support kindergarten through 12th-grade students in higher-risk environments – homelessness, poverty, attendance and behavioral challenges, single-guardian households – to help them graduate from high school, pursue postsecondary education and contribute to their communities. 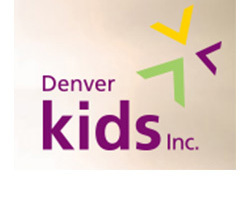 Today, 70 years later, Denver Kids continues to serve as a leader in youth intervention and dropout prevention, connecting more than 1,300 students in 144 Denver Public Schools with Educational Counselors and volunteer mentors each year. The death of someone close can be a devastating experience for anyone, let alone a child. For children, losing a parent, sibling or other important person in their life can significantly disrupt their healthy development. 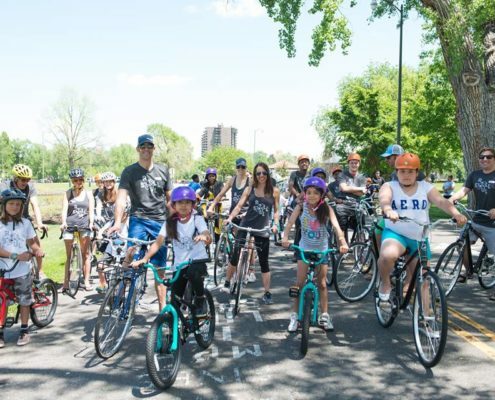 Judi’s House is the only free-standing organization in the Metro Denver area devoted solely to supporting grieving children and their families who have lost a parent due to cancer. By bridging the gap between academic research and real world practice, Judi’s House has garnered knowledge that has not only informed the development of our model of care, but is informing professionals throughout the country. Colorado Trout Unlimited is an extraordinarily effective conservation organization whose resume includes defeating harmful dams and diversion projects, passing important stream-flow legislation, spearheading conservative youth education, protecting water quality, improving drought-stricken rivers, promoting water conservation, restoring native trout and much more. Advocacy functions at the national and state levels to utilize local knowledge as well as science-based tools to develop, prioritize and initiate conservation throughout Colorado’s Rivers. 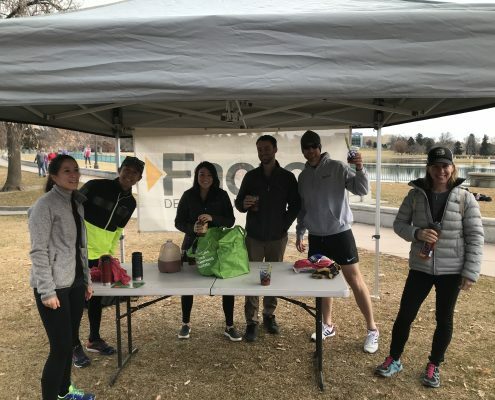 Check out Factor’s latest involvement in the community. https://factordesignbuild.com/wp-content/uploads/2018/01/Rudolph-Ramble-5K_2.jpeg 3024 4032 Factor Design Build https://factordesignbuild.com/wp-content/uploads/2016/07/logo110h-300x85.png Factor Design Build2018-01-25 16:03:482019-03-15 15:12:44Running with Rudolph!